The Pioneer Museum is the site of the Lone Star Gourd Festival October 18-20. This nationwide gourd art competition includes classes for beginners through advanced and a kids’ gourd craft area. Event hours are Friday from 1:00 p.m. to 5:00 p.m., Saturday from 9:00 a.m. to 5:00 p.m. and Sunday from 9:00 a.m. to 3:00 p.m. The admission price of $5 covers all three days. 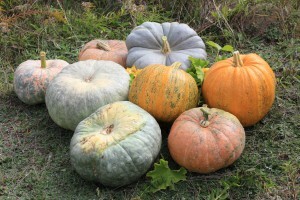 For more information, visit www.texasgourdsociety.org. This entry was posted on Thursday, October 10th, 2013 at 11:06 am	and is filed under Events. You can follow any responses to this entry through the RSS 2.0 feed. Both comments and pings are currently closed.